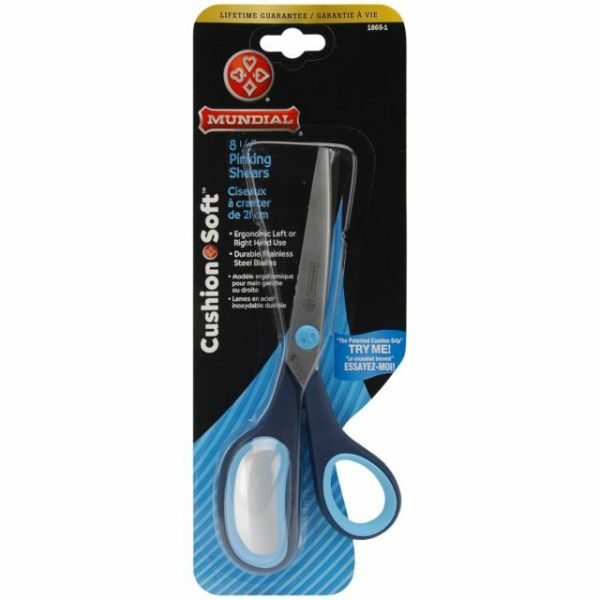 Cushion Soft Dressmaker Shears 8"
Cushion Soft Dressmaker Shears 8" - MUNDIAL-CushionSoft Dressmaker Shears are used for a wide range of cutting tasks and able to cut through fabric of many weights. 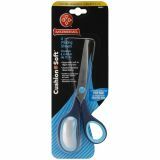 These ergonomic ambidextrous shears features enlarged finger bows and cushioned inserts which are soft to the touch with a non-slip grip to provide hours of cutting comfort. Designed for maximum control and sharp, straight, accurate cutting. Color: Blue and Blue Handle. Made of stainless steel blades. Design: Micro-serrated bottom blade edge. Measures: 8.5 inches, the most popular length. Imported.